September 14, 2018 | Karen T. Willitts, Esq. As an attorney who practices family law, I can attest to how painful battles for custody over children are when couples separate. 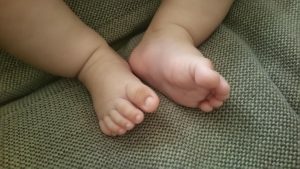 Even more painful are disputes between adoptive and biological parents fighting over custody of a baby. Among the most famous and newsworthy of such disputes was the New Jersey case of “Baby M”, which was decided ultimately by the Supreme Court of New Jersey in 1988 in In re Baby M,109 N.J. 396 (1988). In that case, a couple hired a surrogate mother to give birth to their child, after which the surrogate mother claimed that the surrogacy contract was invalid and that her parental rights were improperly terminated, and the child improperly adopted by the biological father’s wife. The Supreme Court in In re Baby M, invalidated the surrogacy contract and restored the surrogate mother’s biological rights. This case was splayed out in the news at the time, but was ultimately still a dispute between biological parents. 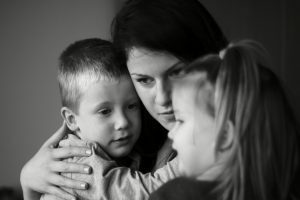 It is still heartbreaking when there are disputes between biological and adoptive parents over custody of a child. 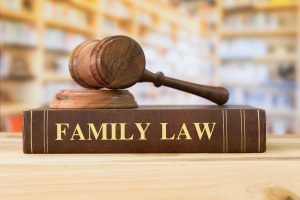 A recent unpublished decision of the Appellate Division in the case of In re Adoption of a Child by R.C.W. and S.M.W., A-2907-17 (App. Div. Aug. 7, 2018) has recently been in the news in New Jersey, though not with the same attention as the “Baby M” surrogacy case. In this case, the biological mother of “Baby J” sought to set aside the adoption of her biological child by its adoptive parents. The Appellate Division addressed the heartache head-on, writing “Few cases have so much potential for calamity. The adopting parents could lose their only child, the child they have nurtured since birth, and in consequence suffer a lifetime of emotional pain and heartbreak. The birth mother could see her decision to surrender her child upheld, have her parental rights terminated, and in consequences suffer a lifetime of regret and sorrow. The child could be abruptly removed from the only parents and home it has ever known, placed in the hands of a virtual stranger, and in consequence suffer permanent emotional damage.” The Court’s statement acknowledges the weight and impact of the decision before it. In this case, the 19 year old birth mother “Mya” was a full-time college student, with a part-time job, and living with her mother. She had terminated two prior pregnancies at the request of her mother, and indicated that she was surprised by this pregnancy as she used birth control. She did not tell her mother other family members about this pregnancy, fearing that she would lose the support of her mother. Moreover, after she and her mother were evicted from their apartment and she came to live with her sister and her sister’s family, Mya did not feel that she would be financially able to care for the child, and expressed that she needed to finish college. She told only a new boyfriend and a teacher/mentor about the pregnancy. May 30, 2017 | Elsie Gonzalez, Esq.